Advise organizations on how to recognize a variety of needs and administer services that result in equitable opportunities and outcomes for all people. Ensure community involvement in the full range of government decisionmaking. 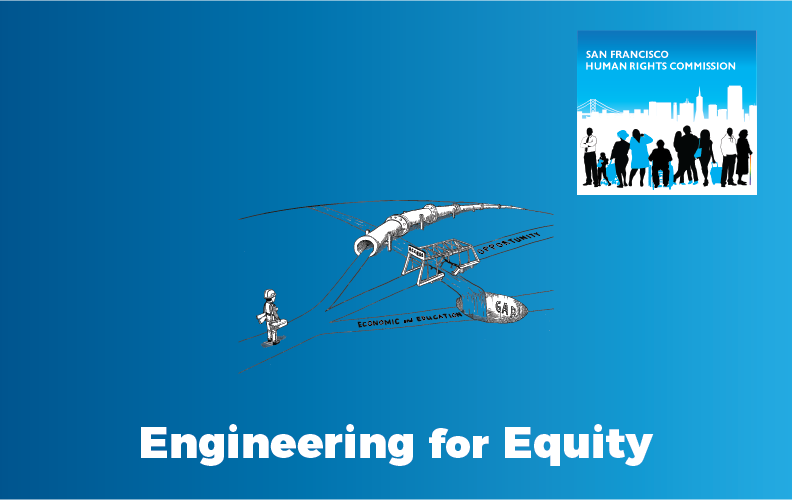 HRC revamped its existing trainings to align with Engineering for Equity objectives and collaborated with over 1,000 students, non profit service providers, businesses, educational professionals, tech sector employees and municipal agencies to learn, implement and instutitionalize equitable language, decision making and program design. We know that no matter what industry an organization is in, relevant, thoughtful engagement with employees, customers and community partners is vital to its success. Link for your organization to complete a Training Request Form to accurately assess training needs. HRC will review your Form and contact your organization within five days. HRC will either provide a referral or an estimate and proposed training outline tailored to meet your organization's needs. HRC will collaborate closely with your organization to set a training date and create a tailored training agenda. All HRC trainings are a minimum of two hours. Agendas will include interactive exercises as well as small group discussions, both designed to develop critical thinking in engaging ways. HRC may also request additional information as part of this collaborative preparation, including sending out pre-training surveys to your organization and/or a site visit. HRC conducts the training(s) in the agreed-upon timeframe. HRC collects and reviews Participant evaluations from each training. HRC presents your organization with recommendations taken from the previous research and a proposed implementation plan based on the recommendations. Approximately six months after the initial training, HRC will follow up on how the recommendations have been operationalized within your organization. HRC will provide any additional support necessary for successful implementation of the recommendations. For more information, please complete our Training Request Form and an HRC staff person will contact you within five business days.